If you've just treated yourself to a new camera – maybe it's a nice new Fuji X-T20, or perhaps it's Panasonic's Lumix GH5 – you may have been left a little frustrated that your raw files won't be read by Photoshop or Lightroom. 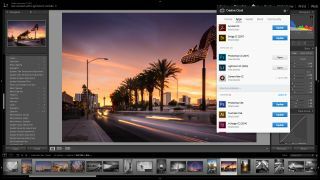 The good news though is that Adobe has just announced ACR 9.9 is now available as a free update, with a host of new cameras now supported for Creative Cloud subscribers, as well as some bug fixes too. As well as a load of new cameras being supported in Lightroom and Photoshop, Adobe has also added 28 new lens profiles, including Canon's latest zooms, Tamron's new 70-200mm f/2.8 and a selection of Moment lenses for the iPhone 7 and iPhone 7 Plus. To see a full list of supported cameras and lens profiles, go to Adobe's Lightroom Journal.